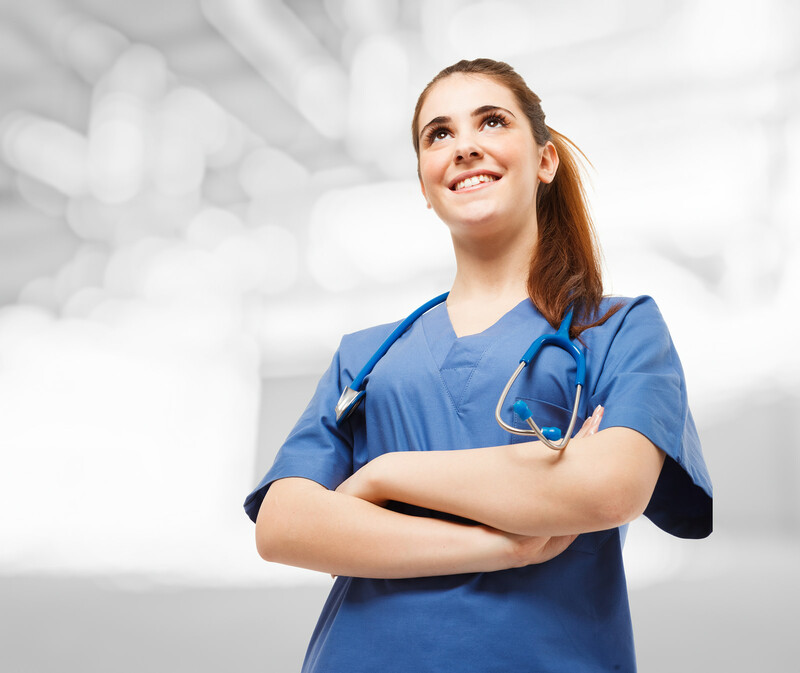 There are two primary paths to becoming a registered nurse: through an associate degree or baccalaureate in nursing. The two-year associate’s degree appeals to individuals who need job stability and income in the shortest possible time. In light of the increasing recommendations for the BSN degree, prospective nurses are sticking it out for the full four years. Graduates of both programs take the NCLEX-RN in California to become Registered Nurses. They work side by side, performing the same activities, such as administering medications, monitoring patients, and hanging IVs. So does the degree make a difference? Is a BSN really necessary? According to the Institute of Medicine, a BSN in nursing should be the minimum requirement for entry into nursing. In their Future of Nursing report, they reveal that a baccalaureate degree will lead to improved patient outcomes. Therefore, the report recommends that 80 percent of the nursing workforce should have a minimum BSN degree by 2020. Employers are also on board, recognizing that the dynamic health care environment requires nurses who can deliver optimal care in community health, research, and leadership roles. As more employers seek to hire BSN-trained nurses, graduates with an associate’s degree will have a harder time finding a job out of nursing school. A BSN represents more than a title or prestige – when compared to an ADN degree. The health care industry requires more from nurses. As they manage patients with complex needs, they must make critical decisions, integrate technology, and analyze data. Nurses today also coordinate care among institutions, community centers, and practitioners to reduce the readmission rates and increase positive outcomes. The mounting pressure on nurses demands BSN preparation as the standard for entry. 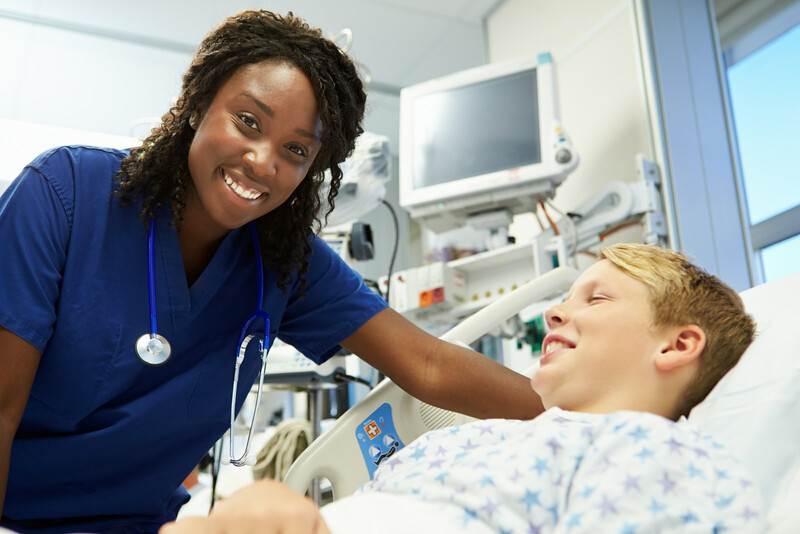 California’s licensing exam for registered nurses evaluates nurse graduates’ ability to provide acute care at hospitals and other medical facilities. A nurse’s adeptness at the time of registration does not indicate his/her ability to properly meet the expanded role of nurses today. Another more pressing reason for implementing the BSN as the standard is to prepare nurses to use research and evidence-based practice in patient care. With areas such as disease management, heath promotion, and community health built into the BSN program, graduates are truly prepared to go out into communities and provide care where patients need it most. Nursing education is as diverse as the profession itself. There are multiple routes to the BSN degree, and the path you take will depend on your prior education and industry experience. LPN to BSN: Licensed practical nurses may be able to transfer credits from their LPN education if they completed an accredited program. The duration of the program for LPNs will depend on the value that the school’s admission department ascribes to the credits. LPNs will generally still need to complete some lower division courses. RN to BSN: Registered nurses with active licenses can earn a BSN degree in 1.5 to 2 years, provided they graduated from an accredited ADN program. With the transfer of 60, or more, lower division courses, registered nurses can complete the upper division nursing courses online and the clinical requirements at a participating facility in California. Traditional BSN: Prospective students with no education or experience in nursing must enroll in the traditional BSN program, which takes approximately 2 to 3 years to complete. Graduates are eligible to take the NCLEX-RN for licensure in California. Fast-track BSN: Individuals with an undergraduate degree in another discipline can transfer general education courses and complete the nursing courses in just 2 years to earn a BSN degree. All graduates (with the exception of RN-to-BSN graduates) must take the NCELX-RN to practice as a registered nurse in California. California institutions such as the American University of Health Science, California Baptist University, and California State University offer a 3-year, full-time cohort that culminates with a Bachelor of Science in Nursing for successful graduates. The program is targeted to individuals who are not registered nurses or licensed practical nurses. A few schools facilitate flexible schedules to meet the needs of working individuals. The student’s schedule will determine the program completion time. The curriculum provides learners with a foundation in physical and behavioral sciences and humanities as well as knowledge of nursing theories and practices. Clinical experiences will prepare students for a professional role in nursing by providing opportunities to implement the nursing process in various settings. The traditional plan of study includes introduction to nursing practice, nursing communication and assessment, pathophysiology and pharmacology, nursing care of adults, psychiatric and mental health, nursing care of the childbearing family and the physiology of nutrition and disease. Other courses include nursing research, nursing care of children, health promotion and patient education, nursing care of adults, family nursing, community health nursing, nursing leadership, nursing case management of vulnerable populations, and transition to practice. Meet all school’s requirements for undergraduate entry. Have a minimum 2.5 cumulative GPA in the prerequisite courses and general education courses. Earn a minimum grade C on prerequisite courses. Meet the requirements for entry to the nursing major. Attend an information session for nursing students. Accelerated BSN (second degree) programs also prepare students to take the NCLEX-RN to become registered nurses. This option is designed specifically for students who hold a minimum BS or BS degree in another field and meet the admission and prerequisite course requirements for enrollment. Students complete the intense program of study in approximately four semesters as the curriculum builds on the previous learning. The clinical experiences in multiple medical settings prepare students to become nursing professionals who can provide care in various facilities. Like the BSN framework, students enrolled in the accelerated degree program learn how to assess, promote, maintain, restore, and evaluate the health of individuals, families, communities, groups, and populations. Prerequisite courses may include human anatomy and lab, introductory chemistry, human physiology, and introductory microbiology. Courses in the curriculum are similar to the traditional BSN, including pathophysiology, health assessment, introduction to professional nursing, pharmacology, research, medical-surgical nursing, effective communication, geriatrics, community health, issues and ethics, pediatrics, leadership and management, psychology and mental health, epidemiology, and childbearing and family nursing. General requirements for admission into the accelerated BSN program includes a degree from an accredited institution, an undergraduate GPA of 3.0 or above, a grade C or higher in all prerequisite courses, a personal statement, CPR certification, letters of reference, and a passing score on the Test of Essential Academic Skills (TEAS). A criminal background check and drug screen may be other requirements for entry. Check the school’s website for specific enrollment requirements. In just three to four years, a BSN student will spend thousands of dollars to earn a degree and nursing credentials. Even students enrolled in fast-track and accelerated programs will invest a sizeable portion of their salaries for advanced education. The average cost of earning a BSN degree in California is an estimated $39,600 for tuition alone. With textbooks, uniform, prerequisite courses, transport, parking, insurance, and fees, the final costs could be upwards of $52,000. Fortunately, with a little research and planning, you won’t have to shoulder the burden alone. Before you look anywhere, you might want to start with your employer. If you work in a medical setting, your employer may agree to tuition reimbursement or tuition assistance at a very minimum. There might be a cap on the reimbursement and minimum grade requirements, which will give you an incentive to keep your grades up. Either way, your employer’s benefits will help to take a huge bite on your tuition costs. Nursing grants provide a smart way to finance your tuition because they provide money that you won’t have to repay. The time and effort you put into finding a grant will be well worth the effort even if you save a few hundred dollars. Scholarships provide another opportunity to earn “free” money. Start with the American Association of Colleges of Nursing to find a list of valuable scholarships and assistance for nurse students. After cutting down your costs with scholarships, grants, loans, and employer assistance, you can use a loan to cover your balance. Taking out a loan may not be an attractive option, but you should consider it an investment in your future. The money you invest now will pay big dividends in the future, especially with the positive outlook for BSN nurses. The increasing complexity of health care and a move toward community-based care will create countless opportunities for BSN-trained nurses. A casual perusal of the help wanted ads online and in your local newspapers will reveal employers’ preference for nurses with a BSN degree. 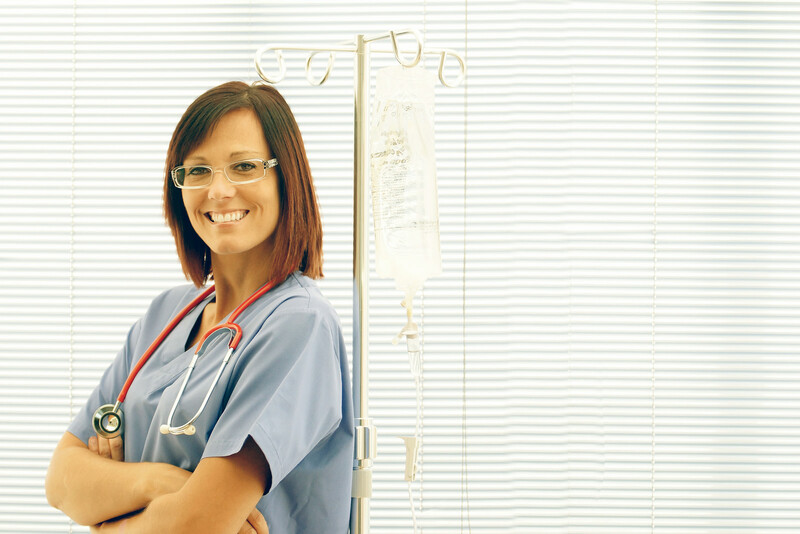 The demand for the advanced degree is not an attempt to sideline nurses with an ADN degree in any way, but a natural response to the expanded role of nurses in the complex health care environment. The U.S. Bureau of Labor Statistics reports that employment for registered nurses will grow faster than the average for all occupations for the next decade. There will be employment opportunities in hospitals, but the vast majority of new jobs will be in non-hospital settings, where advanced skills are competencies are essential. Only BSN-prepared nurses will have the skills, leadership, and training to step into these new roles. A BSN degree will prepare you for further study to earn an MSN degree or the terminal DNP degree. An MSN degree is essential for specialization, educating other nurses, better pay, doctoral study, and career advancement. Check out the BSN programs and NCLEX-RN pass rates in California to improve your job prospects and lay the foundation for advanced study.